I heard about this race last year and I actually went to it as a spectator. As soon as I got there I was sorry I didn't actually enter the race itself. That was the event that I swore to Bumble B that we shall enter as many cycling events as possible from that point on. As soon as I heard they opened registations for the IG London Nocturne for 2013 I got on the website and applied. This was a good number of months ago and not much had been heard till this year. I got an email saying that the registration was closing soon and emails will be sent by the end of business today confirming entry. The Legend will be riding in the IG London Nocturne Folding Bike Race on the 19th, next week. Talk about cutting it close. To finally know that I got in has me VERY excited to say the least but I know in a few hours it will finally sink in and I will probably wake up in cold sweats for the next week. 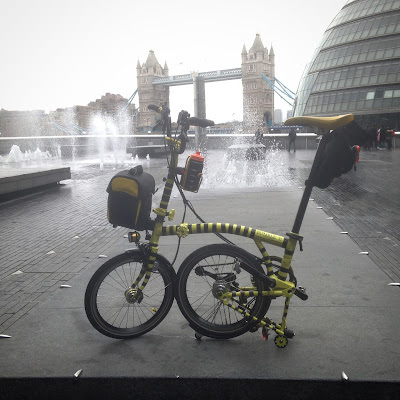 I only have 9 days to prepare "The Legend known as the Brompton Bumble B"
I would like to think I am abit fitter than my last major outing but I have been slacking since Christmas. 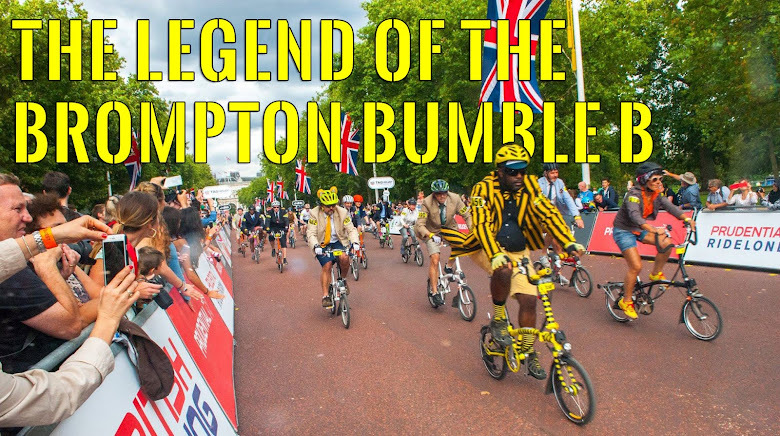 "The Legend of the Brompton Bumble B" in full effect for the only the second time ever. The first was at the Brompton World Championships 2012 and was a great day out. Hell I even appeared on The Cycle Show on Channel 5.